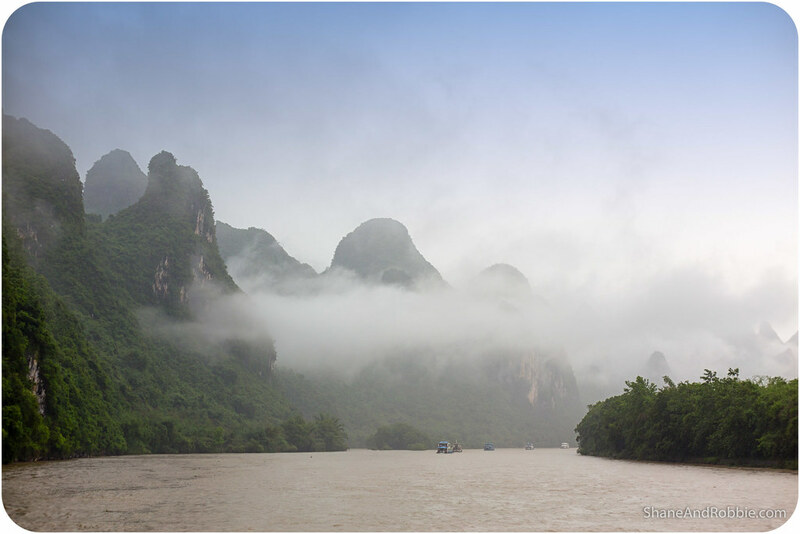 The Li River is Guilin’s pride and joy; this jade ribbon of water winds its way through the city and surrounding mountains as it has done for millennia, shaping the landscape along the way. 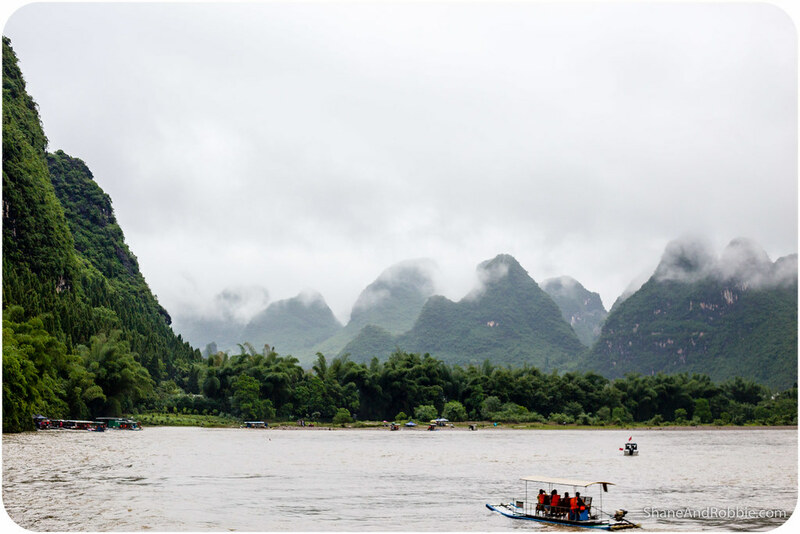 One of the highlights of any visit to Guilin, we’d been told, is a cruise down the Li River from Guilin to the small town of Yangshuo, some 80km south. 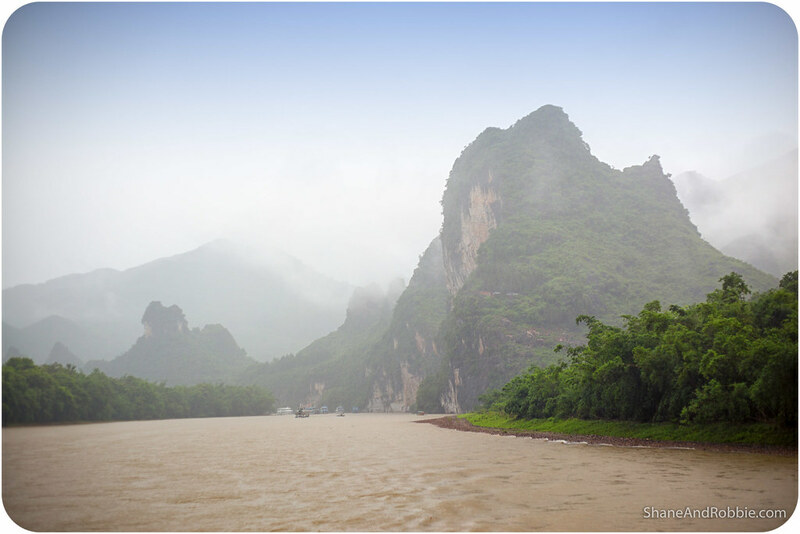 Cruising down a river, as it meanders through epic karst mountains? “Sounds just like our kind of thing!”, we thought. 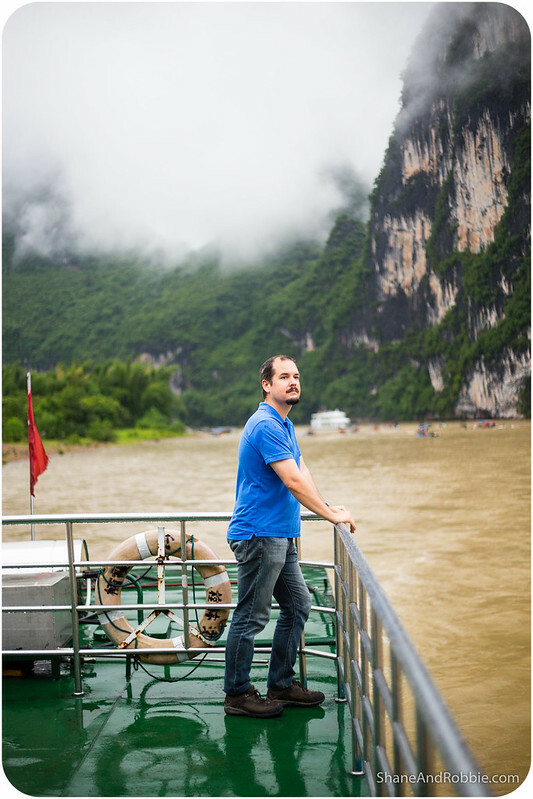 And so we spent our day cruising down the Li River marvelling at the landscape around us. 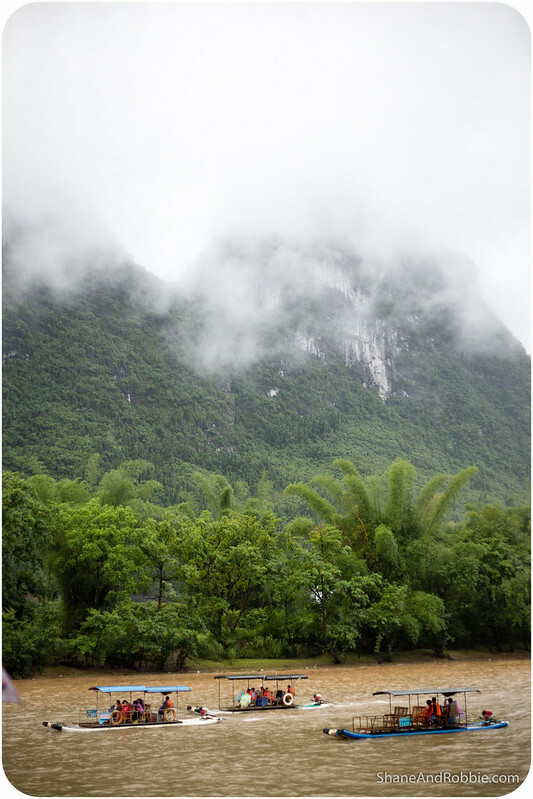 We woke this morning to rumbling thunder and a torrential down-pour of rain*. Not quite perfect weather for cruising, but the rain eased somewhat as the day went on and we had some moments of clear skies. 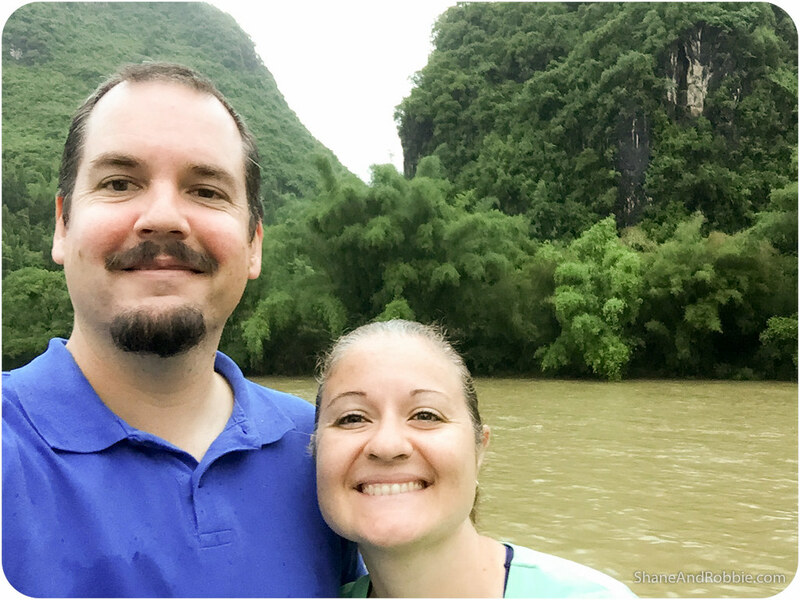 Despite the weather, it was still spectacular cruising down the river, looking up at the sheer cliffs and densely forested mountains around us. 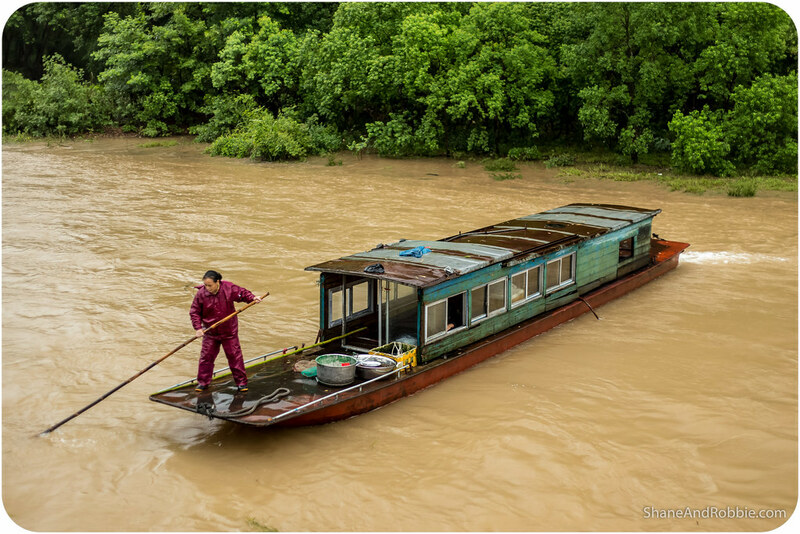 *May is the beginning of the wet season here in Southern China and we knew coming here at this time of year our chances of encountering rain were fairly high. Nothing a raincoat and a sense of humour can’t fix though! 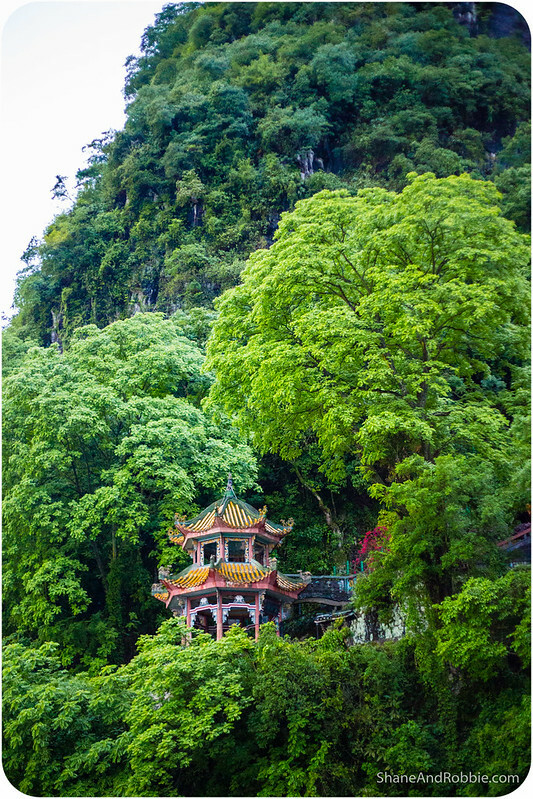 The landscape of this region is famous in China – it’s even depicted on the back of their 20 Yuan note. 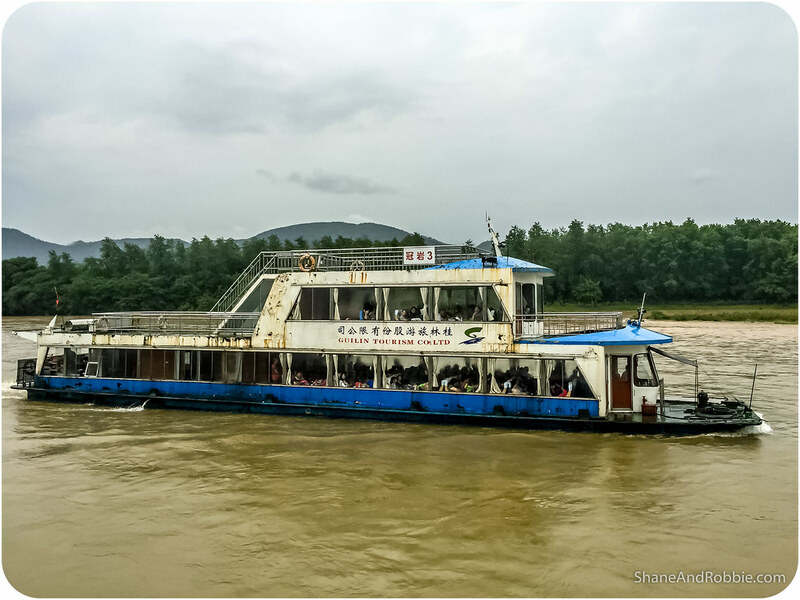 Its fame attracts millions of domestic tourists and to cater for the 40 million Chinese visitors (and 4 million foreign ones) who do the cruise every year there’s a fleet of 3-storey passenger boats. 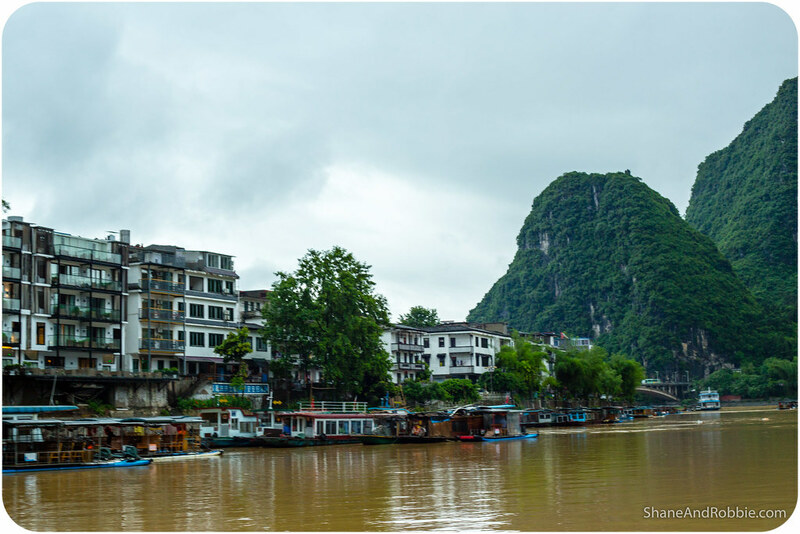 The boats are of various standards but all take the same route from Guilin to Yangshuo. 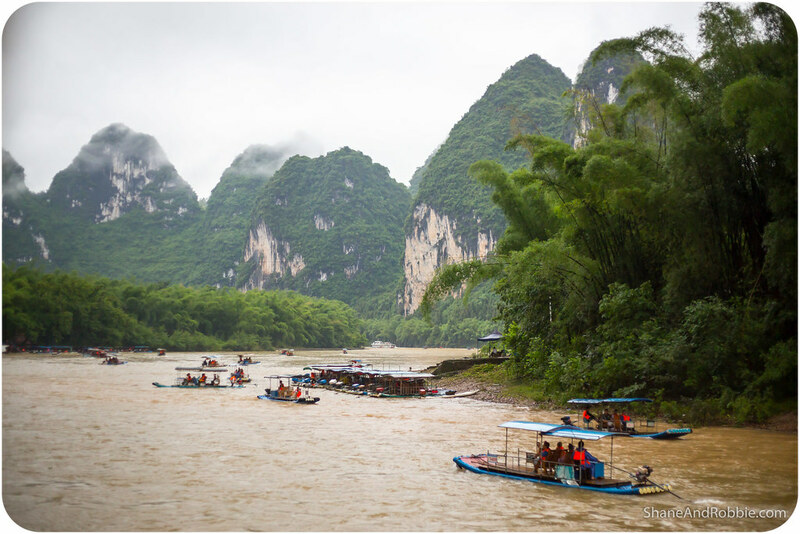 Depending on the speed of the vessel, the cruise takes 4-5 hours and lunch is included*. Our boat was supposedly 5 star, but we’ve already learnt that perhaps our understanding of 5 star is a bit different to the Chinese version. Still, it was just for a few hours and as long as we avoided the bathrooms, it was fine. 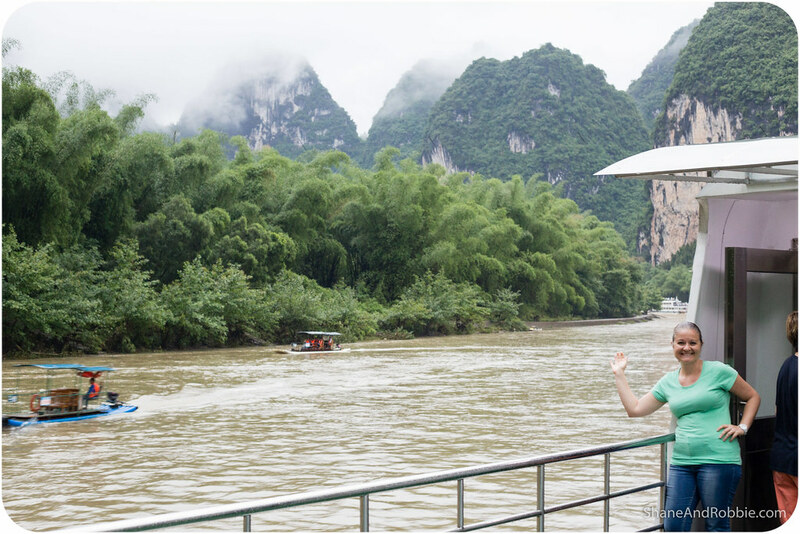 *We didn’t eat the lunch provided on the boat as Peter, our guide, had pre-ordered and picked up a “special” lunch for us from a restaurant in Guilin. His words were …”the lunch on the boat is so-so”. Given how careful Chinese people are to never give offence or say anything too negative, we figured this was Peter’s equivalent of a damning review. 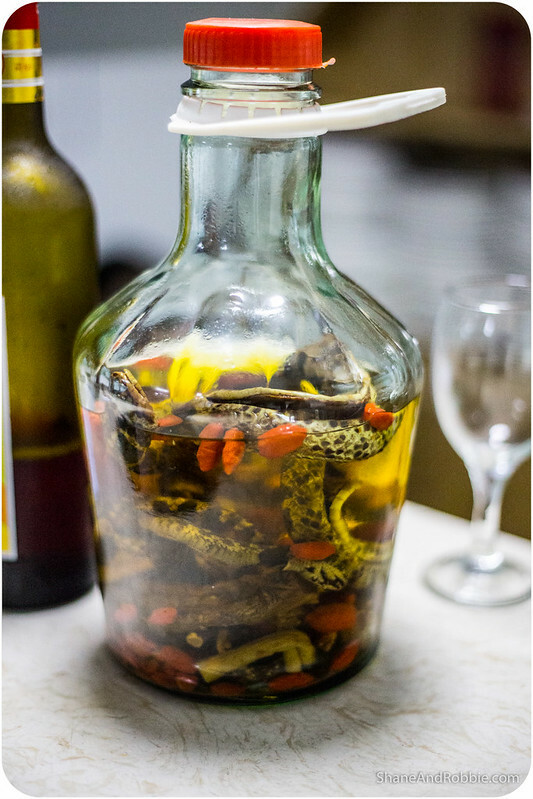 We didn’t look too closely at what everyone else was served for lunch, but let’s just say we were happy to have our sandwiches and fruit, especially when a bottle of “snake wine” was brought out! 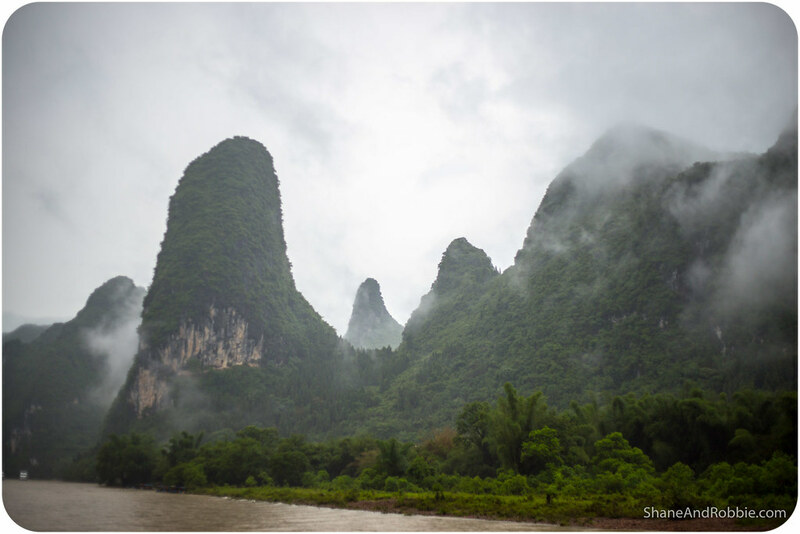 The Li River flows for 437km, starting in the highlands north of Guilin and flowing down through Southern China, delivering life-giving water to farms, towns and villages as it goes. 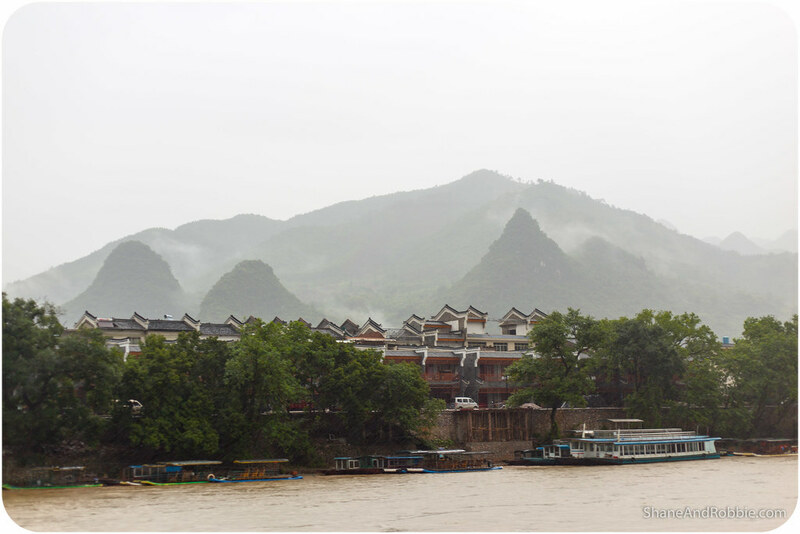 We passed a number of small villages during our cruise today, and saw locals going about their daily lives along the river bank, buying food from the market, fishing in the river, and poling their small rafts against the growing current. 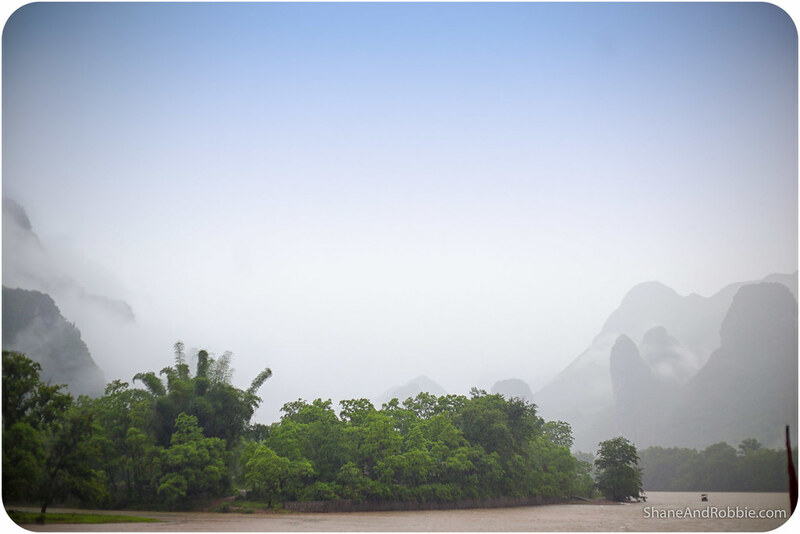 At other times the rain was so heavy we could barely see the river banks due to the list and low clouds. 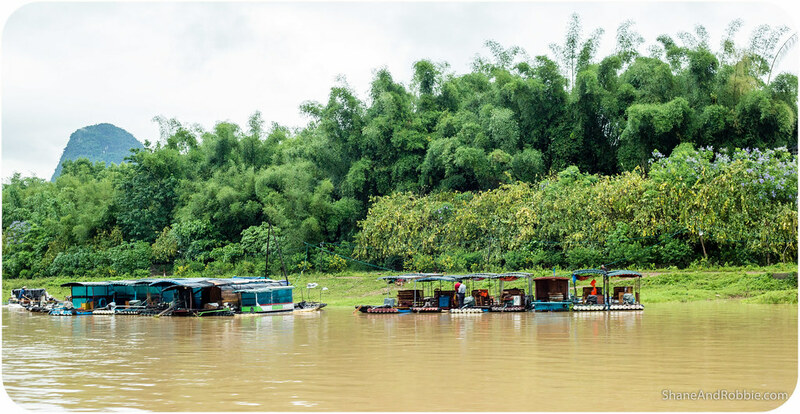 The whole way along we passed other, smaller bamboo vessels carrying passengers down the river. These open-aired rafts are a great way to cruise the river on a fine day, no doubt, but on a rainy day like today the people in them just looked cold and wet. 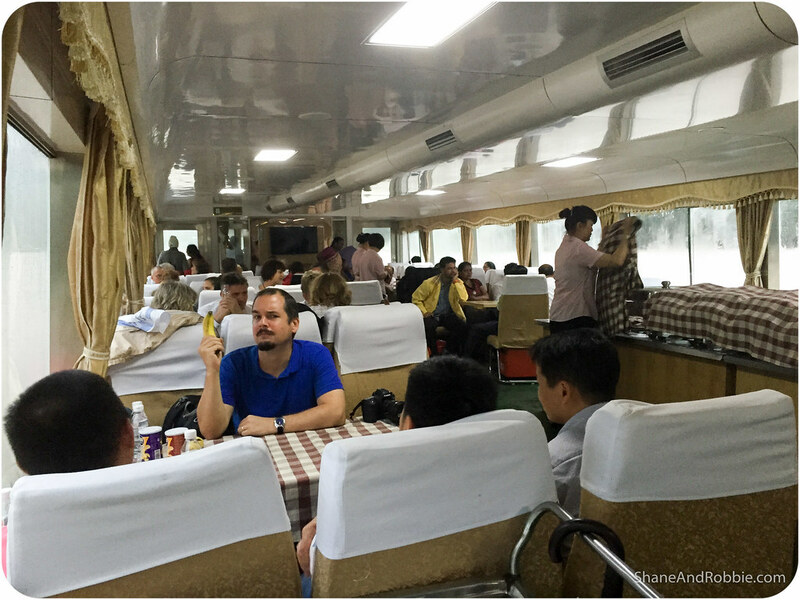 Certainly our big, clunky metal boat was not luxury liner, but it seemed a far more comfortable (and safer) option given the conditions. 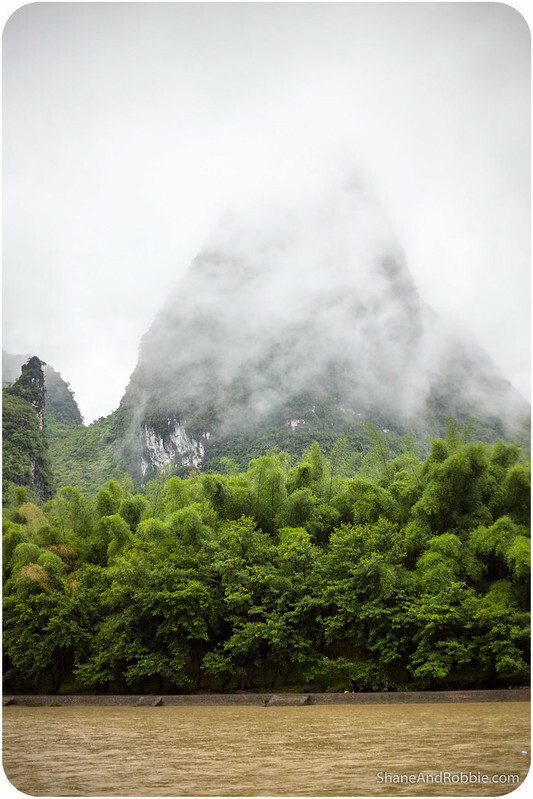 Our journey came to an end in Yangshuo, a small town of 300,000 people that caters for all the tourists that visit. 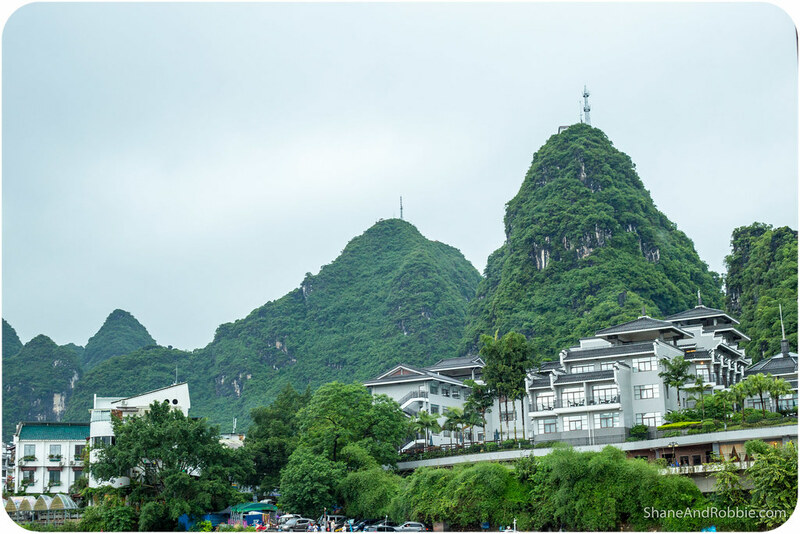 Most people don’t stay here – they do the cruise down the river and then just get bussed back to Guilin in the afternoon. We decided to spend a couple of days here however, to give us a bit of time to enjoy the scenery and relax. For now, however, the rain has really set in and we’re drying out in our hotel room, praying for clear skies in the morning.